The idea is simple: Load fresh fruits and vegetables into a refrigerator truck and drive it to a health clinic, then have a doctor write a “prescription” for food to improve the diets of low-income people with diabetes and high blood pressure. 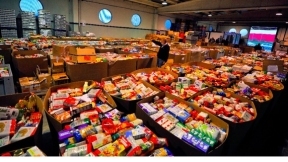 U.S. food banks – the organizations on the front lines of fighting hunger – increasingly are promoting “food as medicine” strategies designed to address, not exacerbate, the high rate of chronic health problems among the poor. 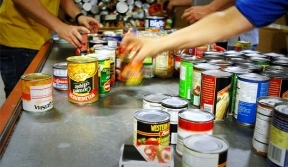 One-third of households using food banks are feeding a family member with diabetes, and 58 percent have a family member with high blood pressure, according to a recent survey by Feeding America, a national network of 200 food banks. Meanwhile, 55 percent of people identify fresh fruits and vegetables as the foods they most desire but aren’t receiving from their food pantry. “I’m on a very limited income,” said James Cline, who has diabetes and gets by on $700 a month living with his mother in suburban Chicago. Disabled after an all-terrain vehicle accident, the 53-year-old former loading dock worker knows he should eat more fresh produce. But the cost of a nutritious diet can be out of reach, so he took his doctor’s advice and showed up for a recent produce giveaway at Oak Forest Health Center. © 2819 Chicago Hispanic Newspaper, Lawndale News, Hispanic Bilingual Newspapers, Su Noticiero Bilingue. All rights reserved. XHTML / CSS Valid.